Dubai's geography and climate are ideal for ballooning - they provide a unique situation where passengers can experience the desert as only a few have seen it - from a gently floating hot air balloon. Feel the cool dawn air as you float only a few metres above the red dunes, then be awestruck as the mesmerizing landscape unfolds below you. View the giant dunes, the moon-like landscape of the rugged Hajj mountains to the east, and the "21st century" skyline of Dubai to the west as you rise high into the immense blue of the desert sky. 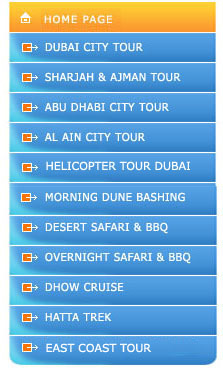 Balloon Adventures Dubai provide courtesy transfers from any major hotel in Dubai, United Arab Emirates. MORE THAN JUST A BALLOON FLIGHT, IT'S A TRUE DESERT ADVENTURE!" 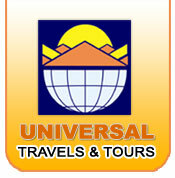 We provide courtesy transfers from hotels for visitors staying in central Dubai. Note: These are approximate times only and will change with sunrise and sunset times to allow us to time our takeoff with sunrise. Pichup times will be somewhat earlier depending which hotel you are staying in. Allow five hours for the whole experience.